What compels you to create? I create art because it has always given me joy. Even as a child in elementary school, I could not wait for “art class”. In later years, it became a form of meditation. How did you start creating? I was fortunate to have a mother who was an artist, so I was exposed to the joys of creating at a very early age. I have two siblings but I was the only one that acquired this passion to “create”. Where is your studio is located ? I have to biggest studio in the world - the great outdoors. During winters and in climate weather, particularly in Saskatchewan, I am driven indoors to my studio which is a double car garage. I convinced my husband, the cars had to find a new location. Why do you create? It is just something in me, something I am driven to do. What is your most important artist tool? Is there something you can’t live without in your studio? : Actually I have two favourite tools. My plein air easel and my palette knife. I love wielding my palette knife. I have one favourite one I always reach for when I get the notion to slap some paint around. What is unique about your art practice? 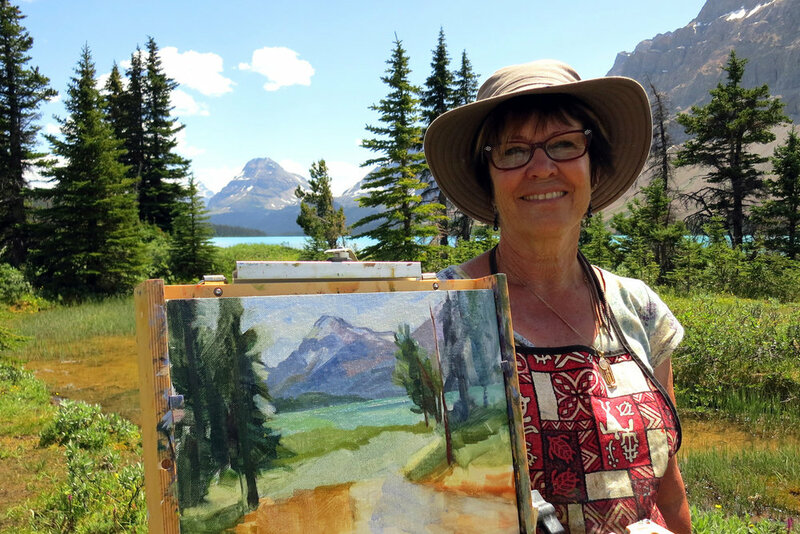 I have travelled to several parts of the world to create scenes in “plein Air”. 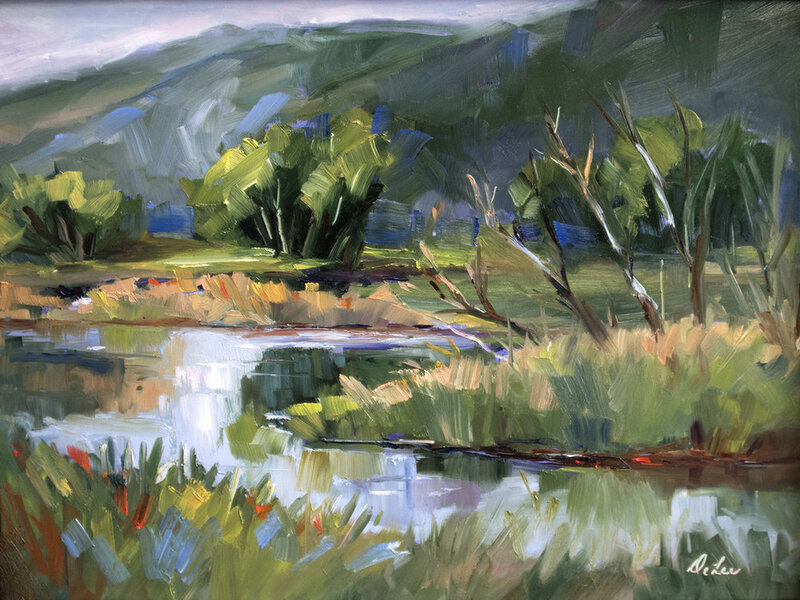 As well, I have taken numerous workshop from “plein air” instructors to learn tips and techniques. What is the funniest thing that happened to you recently? Last week I was filtering through old clothes and realized that I may have a problem!!! I’ve saved a “onesie” purchased at the ARMY AND NAVY 38 years ago and realized this could be considered as “hoarding”. I’ve convinced myself I’m just “sentimental” and this is NOT actually hoarding. Quirky fact... I rode a camel for 2 days across the Wadi Rum Dessert in Jordan and drank freshly gathered unpasteurized camel milk with the Bedouins.